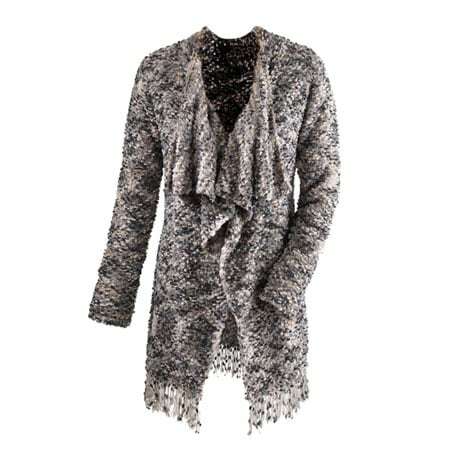 Supremely soft sweater is styled into a jacket cut so you can wear it to the office or for dressier occasions; the lush yarn makes you feel like you're spending the day wrapped up in a blanket. 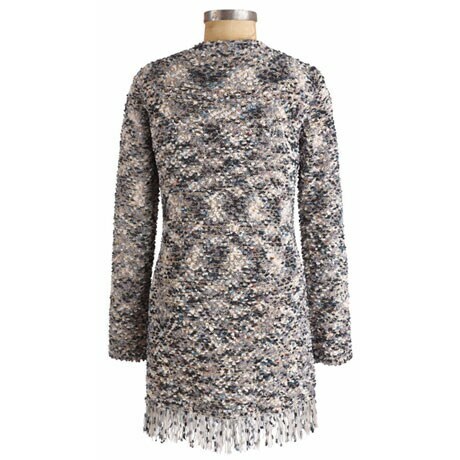 Machine wash. Boucle-knit 100% acrylic. Imported. S(6-8), M(10-12), L(14-16), XL(18), 1X(18W-20W), 2X(22W-24W), 3X(26W); 33"L plus fringe.